On what basis can a divorce be granted? Does fault make a difference in determining the outcome? In New Jersey, the most common ground for filing divorce is under irreconcilable differences. The irreconcilable differences must have caused the breakdown of the marriage, they must have existed for at least six months, and there must be no reasonable prospect of reconciliation. Since the State Legislature passed the Irreconcilable Differences Statute in 2007, it has been the most frequent ground used for divorce. 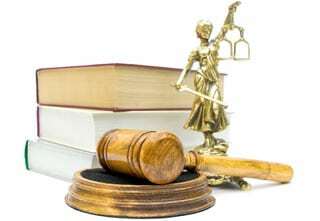 Although they are seldom used, New Jersey also has “fault” grounds for divorce, including: extreme cruelty, habitual drunkenness, mental illness, imprisonment, adultery, and deviant sexual conduct. Extreme cruelty is a subjective standard that requires the litigant to list incidents of cruelty in the complaint. Habitual drunkenness needs to be a fixed, frequent, irresistible or regular habit of drinking alcoholic beverages in such excessive quantities as to produce drunkenness. Mental illness or imprisonment involves institutionalization or incarceration for a period of time. Adultery and deviant sexual conduct require the disclosure of facts that would cause or increase hostility in the process; for example, adultery grounds need the name of the person with whom the litigant committed adultery and where the act(s) took place. For the most part, the grounds for filing have little to no bearing on the issue of support or distribution of assets because New Jersey is considered to be a “no fault” state in regards to divorce. The statutes do not specifically take into account the fault of either party in determining the support or division of assets. In most cases, using fault grounds increases hostility between the parties and delays the resolution of matters.